I have naturally curly, frizzy, thick, and unmanageable hair. I spend hours drying and straightening my hair and it's still coarse and not soft. 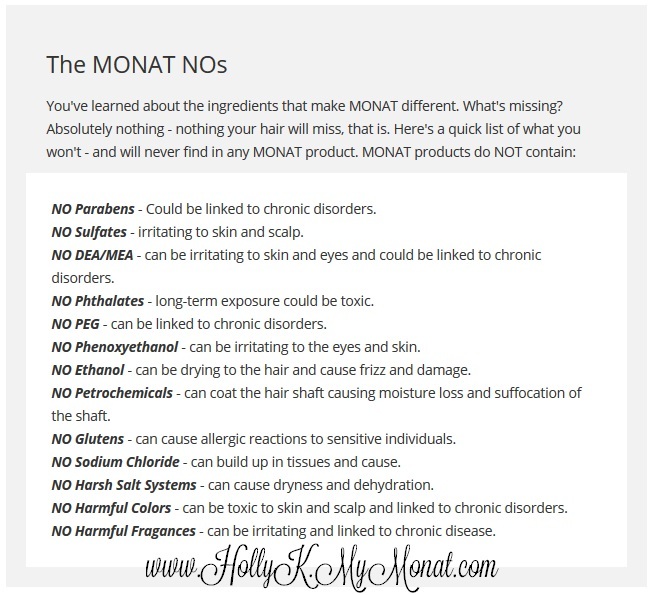 Then, a friend gave me a sample of Monat. I didn't want to like it, for several reasons. It was a little more pricey than my normal hair products and I was skeptical. I'm a skeptic. But, after my first wash, condition, and leave-in condition, I kept feeling my hair not believing how soft it actually was. I asked my husband, too. He said it was softer. He could care less so I know he was being honest. Then, I did some research and I liked what I saw - all the "NOs"
I'm going to be posting the before and after of my husband who has been using the Classic Confidence System for 2 weeks. I'm itching to post the pictures but I'm waiting the full 30 days! We can already tell a difference in the thickness of his hair. 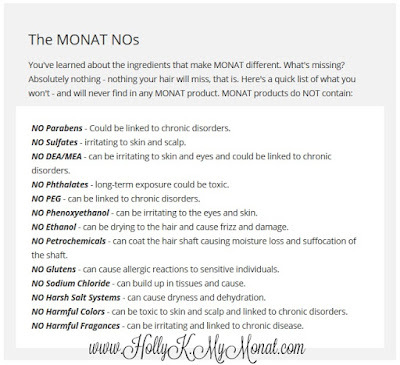 In the mean time - here are some before and afters from Monat!